The bird house was a gift from our son last year. We moved and finally found what we hoped was a good spot to place it. I wasn’t sure how long it would take for them to find it. A couple weeks ago I spotted a bird flying in and out of the birdhouse, but it didn’t look like a blue bird. 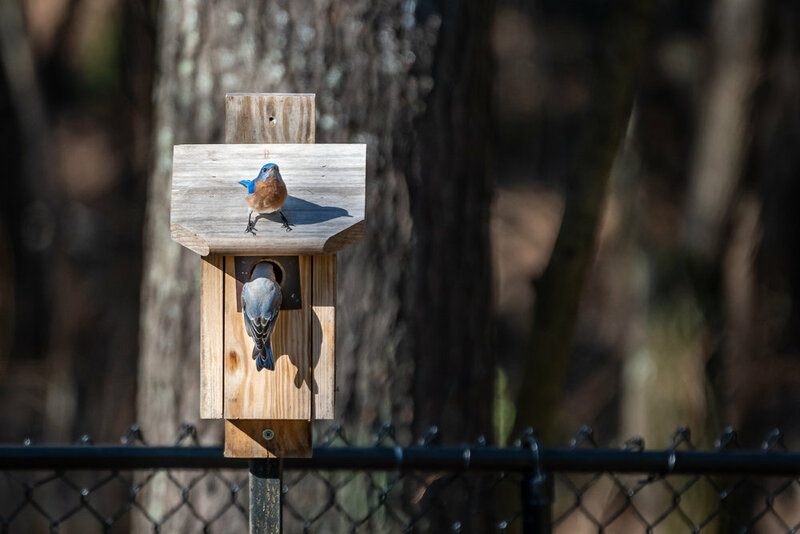 I was a little disappointed because I thought another species of bird had found the nest and if it took up residence the blue birds wouldn’t touch it. But then a week ago, to my utter delight, we started seeing streaks of blue coming in and out of the birdhouse! 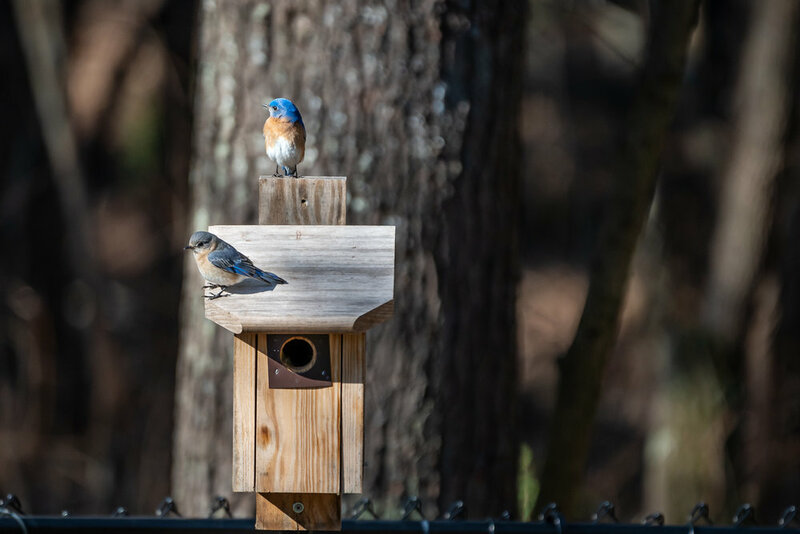 Watching this blue bird couple build their nest in the box has been truly exciting! I love watching their coming and goings out of my sunroom windows, chasing away any other birds that even think of getting close. There’s got to be some eggs in there!! I can’t wait to see some little blue birds soon!